We have been eagerly anticipating attending Grand Designs Live (GDL) for the second time in 2015. 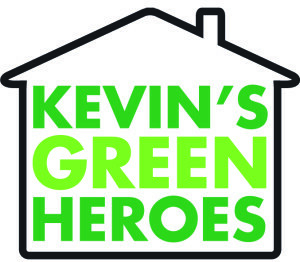 This time at The NEC Birmingham and yet again as one of Kevin McCloud’s Green Heroes making it all the more exciting. At GDL back in May we had a fantastic opportuni ty to meet and interact with members of the public and both big and small fish within the construction industry. The Adaptavate team are once again looking forward to this part of the exhibition, to talk with homeowners and hear about how condensation and mould can effect their homes and buildings. Witnessing people’s interest and excitement in Breathaboard, is a real buzz for us, only topped when we go on to explain the positive environmental impact Breathaboard has. It is a strong reminder that what we are doing has a positive impact on people’s lives and provides us with a catalyst to continue the hard work. At the previous GDL we received expressions of interest that equated to covering half of the Shard building in Breathaboard! We are edging closer to that possibility becoming a reality and are looking forward to sharing our most recent product developments with you all at GDL. There are exciting times ahead. Before GDL we will be attending the preceding event, UK Construction Week, in order to engage with industry movers and shakers and to keep our ear to the ground by witnessing what exciting new technology is coming to market. GDL is a really great event and we hope to see you there! You can find us on the Green Heroes stage, come by and say hi! Adaptavate wins Shell LiveWIRE award.